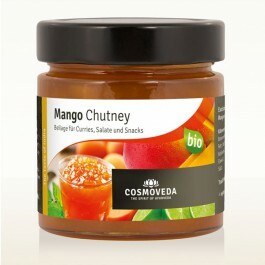 A chutney is a spicy condiment of Indian origin, made of fruits or vegetables with vinegar, spices, and sugar. 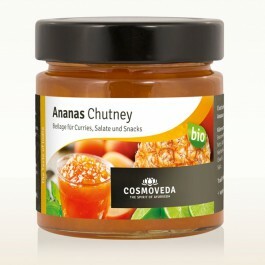 Our Chutneys are made in Sri Lanka with ingredients freshly harvested in our own factory. Connect the taste of sun-ripened fruit, exotic spices, sharpness of fine spices. 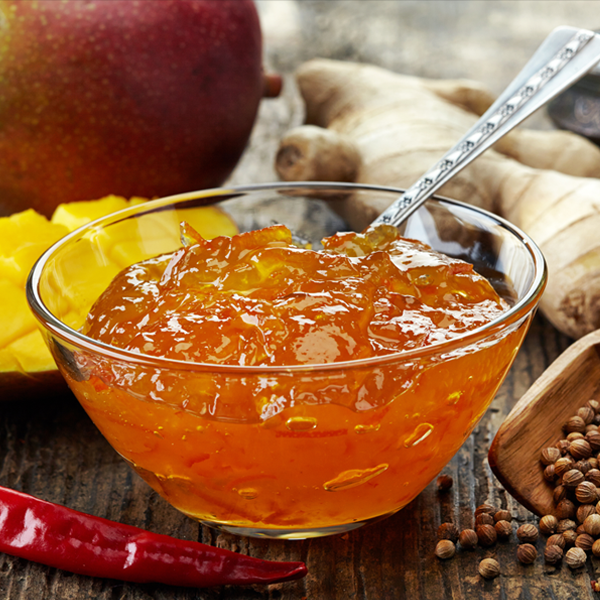 Chutneys enrich many Asian and local dishes as a sweet-sour hot side dish. 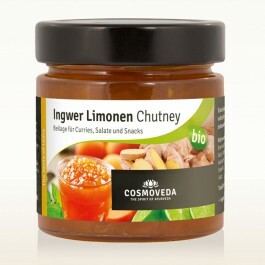 In India they eat Chutneys almost at every meal. 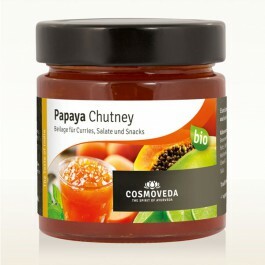 Chutneys are a delicious side dish or dip to pakoras, curries and rice as well as cheese and salads. 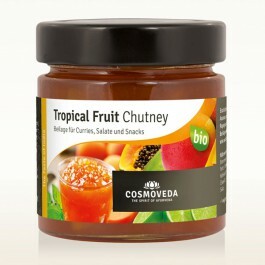 Several different Chutneys can be served at a meal either in small bowls or directly on the plate. Gluten free - Lactose free - Vegan. BIO according to EEC 834 / 2007, DE-eco-003 (inspection) Fair trade from their own projects. Store in a cool place after opening and consume within 2 weeks.